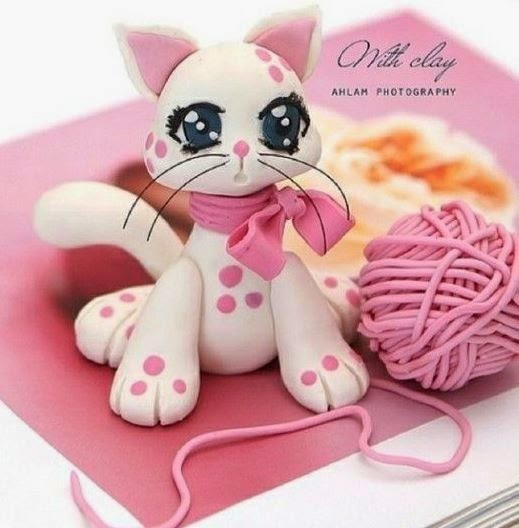 Keep reading for step-by-step photos to create this cute kitten. This is a very good video demonstration of how to model a cute face in cold porcelain. You may not understand the language (just mute it) but the important parts....how she uses her fingers to shape the face....are very clear. Note that the eyes are painted on later and are not part of the face shaping, this simplifies the modeling.